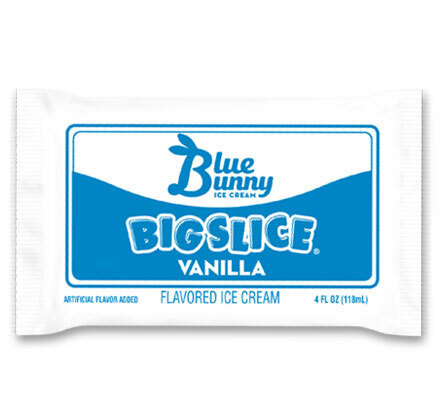 Vanilla flavored ice cream sliced in a rectangle shape for easy dessert building. Case Dimensions: 18.5625 in. x 8.0625 in. x 6.75 in. Ingredients: Milk, Cream, Skim Milk, Buttermilk, Whey, Sugar, Corn Syrup, Contains 2% or less of Vanilla Extract, Artificial Flavor, Mono and Diglycerides, Guar Gum, Calcium Sulfate, Carob Bean Gum, Cellulose Gum, Carrageenan, Annatto for Color.